Prayer of a righteous man and rain. 16 Therefore confess your sins to each other and pray for each other so that you may be healed. The prayer of a righteous person is powerful and effective.17 Elijah was a human being, even as we are. He prayed earnestly that it would not rain, and it did not rain on the land for three and a half years. 18 Again he prayed, and the heavens gave rain, and the earth produced its crops. In his book Miracles in Black, Dr. John C. Wengatz tells of an African convert who was left at a new mission station to carry on the Lord's work with a cannibal tribe. It was the dry season when Joao Mbaxi took over, but soon the tropical rains would be coming. Month after month went by, however, without a cloud appearing in the sky. Then came the time for the normal dry period. By now everyone was suffering, and many were on the brink of starvation. In all the years they had worshiped their ancient gods, the rains had never failed them, and so Joao was told that he must leave the country and take "the white man's God" with him. The courageous Christian refused to go. Then, flushed with anger, the chief sullenly warned, "If your God is as good as you say and so powerful that He rules the sky, why doesn't He send us the needed showers? If it doesn't rain by sunrise tomorrow, we will drink your blood and eat your flesh!" Recalling the Biblical account of Elijah, Joao went to his hut and prayed for divine help with the same urgency as that of the ancient prophet. Meanwhile the members of the tribe waited for the dawn when the Christian leader would become the victim of their horrible feast. 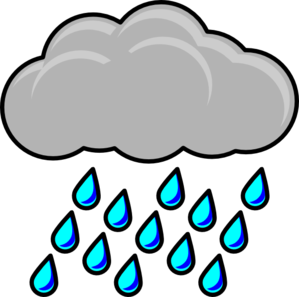 Just before daylight, thunder was heard in the distance, lightning flashed across the sky, and abundant rain refreshed the entire region! As a result, Joao was able to continue his work for Christ. The prayer of someone who is totally dependent on the Lord is powerful! Dear Lord, thank You that we can come to You in prayer. Help us to keep our self righteous in all that we do. In Jesus’ Name, Amen. Because the summers are very short, camping was a chosen activity. To be outside as much as possible was the preference of many people. One summer, a group was planning on going camping. they chose a golf course close by that wouldn't be too crowded. As the weekend neared, the weather was not suitable to go camping. It was cold and rainy and miserable. But, in Alberta, often the weather changes within minutes, so they were still planning on going. 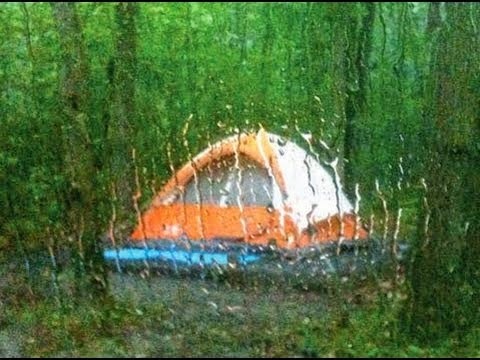 Closer to the weekend, the weather was not improving, and one of the group did not want to go camping. For him, camping in cool, damp weather, wearing a winter coat, is not fun at all. His thought was I can sit in my own warm, comfortable home, with no coat on and with space to move around. He was not a "happy camper", thinking about going camping! As he was going to sleep one night, he cried out to God for something to change the plans. In his devotions that day he read Psalm 91:15 that morning, and claimed the truth that God would answer him when he called to Him. He knew that God would be at his side. He knew He would rescue him, and then throw me a party. By the next morning, it had rained so hard that the golf course owner called to say that he wasn't letting any campers in, because the ground was too saturated with rain, and it would ruin his grass. He laughed and praised God and enjoyed the "party" that God had thrown him! 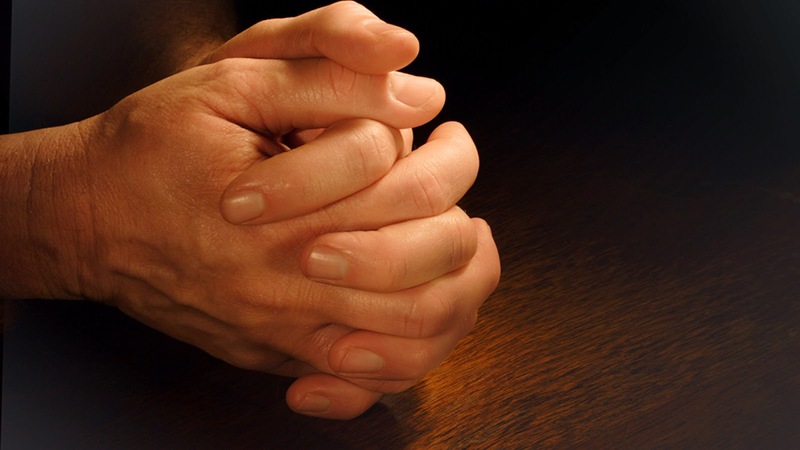 Do we really believe that God will answer our prayers? Do we trust Him with all of life's issues? Do we know that He will take care of the little things, as well as the big things in our lives? Are we anticipating the party that He will throw us? Dear Lord, thank You for caring so much for us. Thank You that You are concerned about the little details of life. Help us to call out to You, In Jesus’ Name. Amen. When Carolyn Shafer came to Tempe, Arizona, as a young mother, she had never heard of intercessory prayer, praying specifically for another person's needs. But she wanted the companionship of other women, so she joined a Bible study group at a nearby church. "We were all pretty uninformed about God and spiritual faith," she says. "We had no idea how powerful prayer could be." God can use anyone to touch another, if we're willing. Dear Lord, help our hearts be willing to reach out to others with Your love and to pray for them. In Jesus’ Name, Amen. 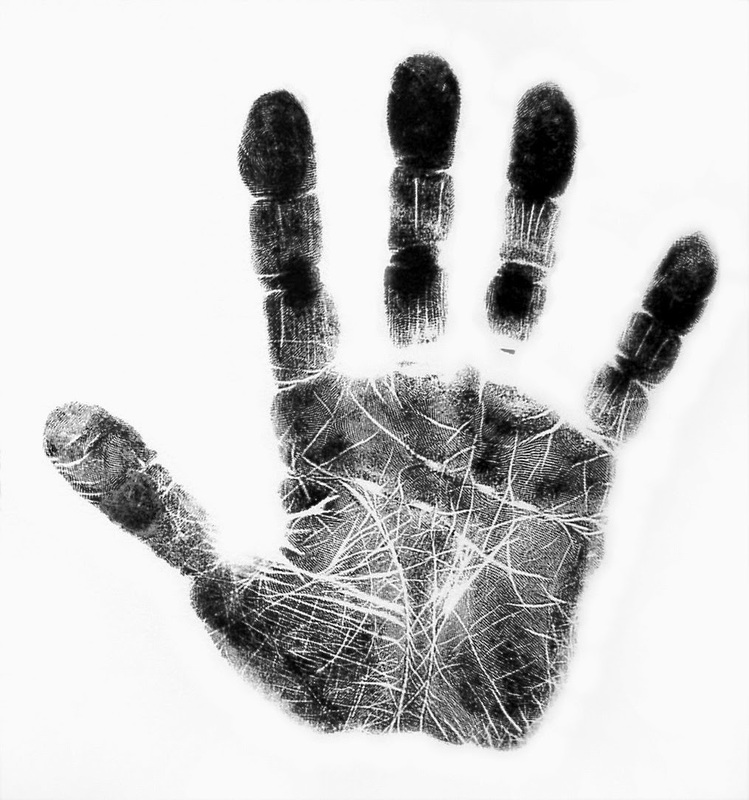 On the morning of 24 May 1985, Kent Lenard awoke at his home in Lake Moses, Washington at 1 am. He became aware that his missionary son John and his family in South Africa needed his prayer. “PRAY! The command I sensed was urgent” recalls Kent. Meanwhile in South Africa, John and Sandy were with their two daughters driving through the bush to photograph elephants. John parked and left his family in the car while he explored a trail. He saw an older bull elephant and began photographing it. John then began hearing a “low rumbling” that reminded him of thunder. He began having an uneasy feeling and headed back to the car. Suddenly, John spotted 200 hundred huge, thirsty elephants stampeding toward his car. The rumbling that he had heard was their running for miles across the dry bush. Racing through John’s mind were the pictures that he has seen of uprooted trees and overturned cars in the path of angry elephants. He recalled a seasoned missionary telling him to never stand between thirsty elephants and their source of water, because they become violent if their access is threatened. But right in the middle of the path to their water stood John and the car with his family in it. 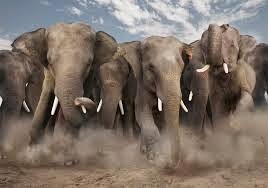 Hearing his family’s screams, John raced for his car and reached the door just as the first of the elephants was upon him. He jumped in and slammed the door and immediately the car was engulfed in dust. Miraculously, the elephants passed on both sides of the car, only scraping the bumpers and rocking it. When the last of the elephants passed and the dust settled, John told his family that someone must be praying for them, because it was a miracle that they were not crushed. After almost an hour of prayer, Kent sensed the Lord’s peace and closed in prayer saying “Thank You Lord I know that John’s family is in your hands” and he went back to sleep. I count it an honor when the Lord prompts me to pray specifically for someone no matter the time of day. Has the Lord put someone on your mind or heart? Pray for them. Dear Lord, thank You for the power of prayer. Help our hearts and minds be open when You have someone that we should pray. In Jesus’ Name, Amen. This is a story I read about the power of prayer. I’m not sure if it is a true account or not but I do know that God can do anything He wants to protect us if we call upon His name. Diane, a young Christian university student, was home for the summer. She had gone to visit some friends one evening and the time passed quickly as each shared their various experiences of the past year. She ended up staying longer than she had planned and had to walk home alone. But she wasn't afraid because it was a small town and she lived only a few blocks away. As she walked along under the tall elm trees, Diane asked "God" to keep her safe from harm and danger. When she reached the alley, which was a short cut to her house, she decided to take it. However, halfway down the alley she noticed a man standing at the end as though he were waiting for her. She became uneasy and began to pray, asking for "God's" protection. Instantly a comforting feeling of quietness and security wrapped around her, she felt as though someone was walking with her. 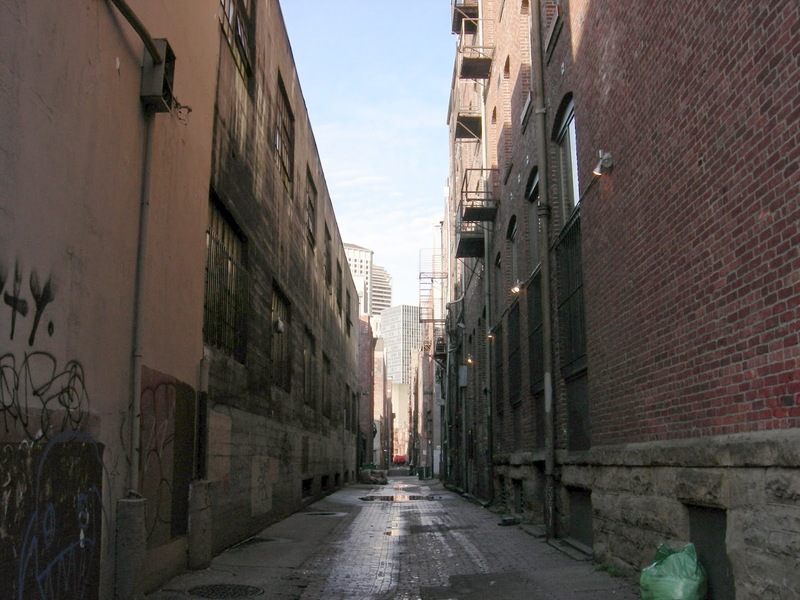 When she reached the end of the alley, she walked right past the man and arrived home safely. The following day, she read in the paper that a young girl had been raped in the same alley, just twenty minutes after she had been there. Feeling overwhelmed by this tragedy and the fact that it could have been her, she began to weep. Thanking the Lord for her safety and to help this young woman, she decided to go to the police station. She felt she could recognize the man, so she told them her story. The police asked her if she would be willing to look at a lineup to see if she could identify him. When the man was told he had been identified, he immediately broke down and confessed. The officer thanked Diane for her bravery and asked if there was anything they could do for her, she asked if they would ask the man one question. Diane was curious as to why he had not attacked her. When the policeman asked him, he answered, "Because she wasn't alone. She had two tall men walking on either side of her." Dear Lord, we thank You that all we have to do is call upon Your name and You will make a way to get us through the circumstance. In Jesus’ Name, Amen. Late one evening, a missionary asked the Lord to help him stay awake as he drove through the night to speak at the next church. Just then he saw a hitchhiker walking in the rain, and he picked him up. As they talked, he discovered that the stranger was a believer, and that they actually had many of the same Friends. They laughed, shared stories and, before they knew it, dawn was breaking and the hitchhiker was saying, "Here's where I get out." Before they parted, they had a cup of coffee together at a roadside cafe and promised to pray for each other. By now the rain had stopped, and it was daybreak. A few minutes down the road, the missionary suddenly realized that he hadn't gotten the man's phone number, so he returned to the cafe hoping to catch him. But there was no sign of him. When he asked the waitress which way he had gone, she looked puzzled and said, "Who? You came in here alone! 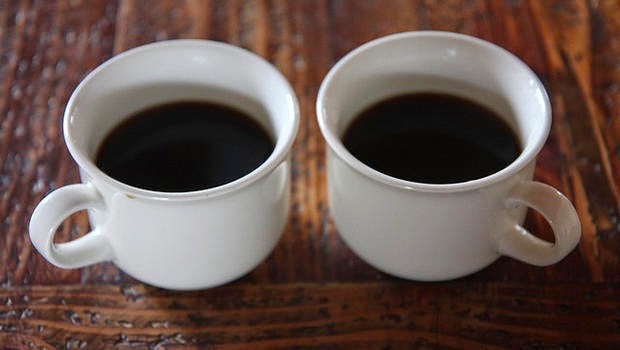 I wondered why you ordered two cups of coffee." The missionary glanced at the table where they'd sat and, sure enough, the hitchhiker's cup was still full to the brim and cold. Then suddenly he remembered that when he'd picked him up the night before in the pouring rain he wasn't even wet! Are you ready for how God will answer your prayer? Dear Lord, we thank You that You can work in mysterious ways. Help us pray with the faith that You will answer. In Jesus’ Name. Amen. In 1789, fourteen-year-old John Marrant became a Christian through the preaching of Methodist evangelist George Whitefield. His family disapproved of his new faith and John left his home in Charleston, South Carolina and headed west. After only a few weeks on his own, he was seized by some Cherokee Indians and was condemned to death. "The executioner showed me a basket of turpentine wood stuck full of small skewers" recorded John in his diary. "He told me I was to be stripped naked and laid down in the basket, and these sharp pegs were to be stuck into me, then set on fire, and when they burnt my body, I was to be thrown into the flame, which was to finish my execution." John immediately burst into prayer and the bewildered Indians called for their chief. John then began reading Isaiah 53 from his little Bible and then he preached the gospel. Many of the Indians were converted that day including the chief. John stayed with the tribe for the next two years and taught them how to follow the Lord. No matter where you go, the Lord will be with you to watch over you. Dear Lord, we want to thank You for Your promise that You will never leave us. In Jesus’ Name, Amen. Dear Lord, thank You that You are there to give us a helping hand. Help us to always remember that we can always reach You with a prayer. In Jesus’ Name, Amen. Prayer is a powerful gift the Lord has given to us. Do you take the time to pray to God each day? Is there someone on your heart right now? Dear Lord, help us take the time to pray for someone today. We pray for safety and that they would draw their heart to You. Use us today. In Jesus’ Name, Amen. It was a beautiful spring day, and Bill Garvey, of White Lake, Michigan, had decided to take a vacation day and get his garden ready to plant. Enjoying the scent of morning grass, he jumped up on his tractor, an old International Harvester model H, built sometime in the 1940's. Old Betsy, as he called the tractor, didn't have hydraulics to lift up the implements like the new tractors so Bill was using a double bottom, trailer plow instead. In this arrangement, disks cut up the sod which is then turned over by the plow. 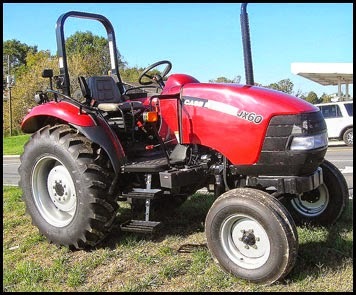 The front tires are close together, which causes the tractor to be tippy. But Bill wasn't worried. He and old Betsy had worked together for a long time, and what could go wrong on such a simple job? As Bill sat down on the fiberglass seat he had installed 10 years earlier, it pinched his leg. "I should fix that crack," Bill thought. "But not today.." The garden area had two-foot-tall grass in it, and was way overdue for shearing. Maneuvering the tractor, he drove it down the hill with the plows cutting deep into the fresh ground, then raised the plow, turned around, went back up the hill and did it again. But the tall grass was getting caught and wrapped around the plow blades, and by the time Bill had made the third pass, he needed to stop and clear off the plow, so it would turn the sod over properly. "I carefully backed the tractor and plow back up the hill I had just plowed," Bill recalls. "Success! I was able to push the grass off." But just as he pushed in the clutch to stop, the cracked fiberglass seat broke away from its mounting. Bill was still going in reverse! He fell back off the tractor while it was still moving. "The lever that adjusted the depth of the plows went up the back of my shirt, my legs were up in the air and I was trapped," Bill says. "My face was right beside the right rear tire, which is five feet tall, and I could hear it thumping, trying to finish the climb up the plow, which was jack knifed. The right rear tire of the tractor was already on top of the tire of the trailer plow. The narrow front end of the tractor was only inches from tipping over---I could hear and feel it tearing my shirt." This was it! Bill was going to be crushed by the tractor. "Dear God!" He cried out. "Please help me!" Just then, the crank handle, which adjusts the angle of the plow, flipped up, and hit Bill in the face. It cut his cheek, but now he had a chance! Grabbing the handle, he used it to push himself up and get his feet back onto the deck of the tractor. With one jump and a lunge, his left foot hit the shut-off button. The engine quit. "I crawled off the tractor and got down on my knees," Bill says. "I had tears in my eyes and thanked God for sending one of his angels to help me." It took him awhile before he could stand again, but he did. He was fine, except for some small scratches and his shaking knees. Carefully, Bill pushed the clutch for the tractor and let it roll slowly, down off the plow. As it moved forward, it almost turned over again. Bill was afraid to start the engine. Somehow he got it back on all four wheels. As his heartbeat returned to normal, Bill looked at the tractor more closely. What had caused the crank rod to turn? Maybe the tire hit it? And yet the handle had moved immediately after he'd asked God for help..
Bill's wife Lorraine was as grateful as he was when she heard the story. "Don't ever plow with your tractor alone again, Bill," she begged. "I wasn't alone," Bill pointed out. And he thanks God each day for sending the help that he needed. Dear Lord, thank You that we are never alone. Help us never forget that You are there and all we need to do is call upon Your name. In Jesus’ Name, Amen. A young woman who had strayed from her walk with Christ was leaving work one evening. She encountered several men approaching her from across the dark parking lot. Jeering and making threatening comments to her, they came closer and closer. Anxious to leave the scene, she quickly sat herself in the driver's seat, closed and locked the doors. As she glanced at the rear-view mirror she could see that the men were only a few feet away, laughing. She nervously turned her key in the ignition, but nothing happened! The car wouldn't start. Knowing her safety was in jeopardy, she did something she hadn't done in months - she prayed. With a passion, she prayed to God for protection. One last time, she turned the key, and this time, without hesitation, the engine came to life and she sped away. When morning came, she tried to start the car again, only to encounter the same mechanical problem. Though she tried again and again, the car wouldn't start. After having the car towed to a repair garage, she described how it wouldn't start at first the previous night, but then it suddenly did. After inspecting her engine, the puzzled mechanic asked again if it had actually started the night before. 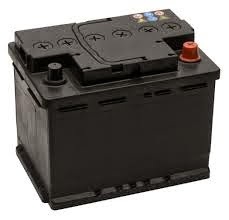 Upon confirming what he thought she had said, he let her know that it shouldn't have started at all - for there was no battery in her car! Recalling the previous night's episode, she remembered the sheer shock of surprise on the jeering men's faces when her car started. It was then that she realized they must have taken her battery! God is Your battery when you need it. Call on Him in Your need, nothing is impossible with Him. Dear Lord, thank You for being there and that nothing is impossible with You. Help us to ever stray from You but to always call upon Your name. In Jesus’ Name, Amen. When the Communists overran China following the end of World War II, a thousand missionaries with China Inland Mission (CIM) were trapped behind the Bamboo Curtain. CIM ordered a total evacuation in January 1951, but was it too late? Communists were not averse to killing. Arthur and Wilda Mathews applied for exit visas on January 3. Their living conditions had deteriorated to a bare kitchen where, in the corner, Wilda had converted a footlocker into a prayer nook. Days passed with no action on their requests. Meanwhile citizens were executed on the town's athletic field every day; from her kitchen Wilda heard the shots. The strain grew unbearable, and she was overwhelmed by fear. Sunday, March 21, 1951, was, as she later called it, Black Easter. Wilda sneaked into an Easter church service, but when she opened her mouth to sing "He Lives!" No words came out. Returning home, she fell at the trunk, and her trembling fingers found: "The battle is not yours, but God's.... You will not need to fight in this battle. 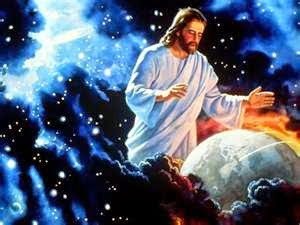 Position yourselves, stand still and see the salvation of the Lord, who is with you, O Judah and Jerusalem! 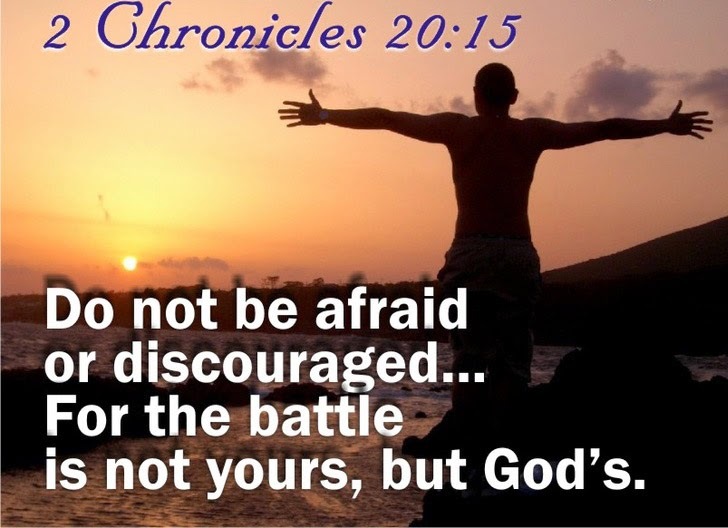 Do not fear or be dismayed". Wilda clamped onto those words, and two weeks later she wrote, "The conflict has been terrible, but peace and quiet reign now." Many times we cannot solve problems, heal hurts, change circumstances, or win our own battles. 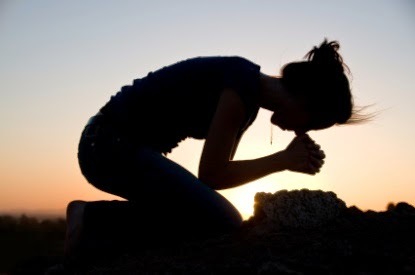 We must kneel in prayer, then stand to see what He will do. We must leave room for God, staying calm and giving Him time to work. Dear Lord, help us to always leave room for you to work. Thank You that the battle has already been won by You. In Jesus’ Name, Amen. Susan Archie was out in her back yard, looking at the big tractor her husband used to cut the lawn. He had always promised to teach her how to drive it, but with all the outside chores in their rural area in South Carolina, he hadn't gotten around to it yet. The lawn needed cutting, and the tractor didn't look all that hard to drive, Susan mused. Maybe she should try it. She checked on her six-year-old son, Joshua, who was driving a little motorized car on the other side of the yard. He was enthralled with all things mechanical, and probably knew more about the tractor than she did. "Stay over there, Joshua," she called to him. "I'm going to cut the grass on this side." Up and over and into the seat before she had time to reconsider. The wheels on the tractor were up to her nose, and the cutting blade was seven feet long.. She wouldn't think about any of that. Plenty of country women drove tractors. She turned on the ignition, and the engine sprang to life. One pass along the outside of the grass, turn, and then another pass. Susan was doing just fine. Joshua had approached once, yelling that she wasn't cutting the grass just right, but she had waved him away. Now he was back on the safe side of the lawn. Or was he? Suddenly Susan realized that Josh was not where she'd thought he was. Frantically she looked around. There he was, riding up alongside of her! "Josh, get away!" Susan stepped on the brakes. "Mom, you're not cutting it right!" She heard him shout. Then Josh attempted to jump onto the tractor. In a horrified moment, she saw him slide beneath the tractor, and felt the huge wheel go over him. "Josh!" She screamed, cutting the engine. Her husband came running from the front yard. "He's under the tractor! I've killed him!" Susan screamed, as she ran for the phone in the house. The shock of the unbelievable scene stayed with her as she babbled to the paramedics. Why hadn't she been more careful? What damage had the blade done to him? God, God. She couldn't think of any formal prayer, but her heart seemed ready to burst. Since the Archies lived so far into the country, the paramedics told Susan they would meet her and Josh at a country store several miles away, rather than waste precious time looking for the house. Susan ran back to the accident scene. Her husband had somehow gotten Josh out from under the tractor wheel, and he was lying on the ground. Stunned, she realized the six-year-old was conscious, and there was no sign that he had been cut by the blade. "I'm okay, Daddy, it doesn't hurt," Josh was protesting. "Lie still, Josh, and don't talk," the adults told him as they carefully carried him to the truck. He couldn't be okay, Susan thought. She had felt the huge wheel go over him. His lungs must be crushed, and as for internal injuries. She didn't want to think. She had phoned her mother to alert her church's prayer chain, and she knew word was going out over the hills and hamlets. There was power in prayer. But could it save her son's life? The truck sped down the country road. Before they even reached the store, Susan saw the Lifeflight helicopter fly over them, and set down in the parking lot. As they turned in, the paramedics were waiting, and in minutes they had Josh ready to be airlifted. Susan watched the plane take off, asking angels to circle it. As she and her husband pulled out of the parking lot to drive to the hospital, Susan noticed that the lot was almost full. People..people she knew, and those she had never seen before, all alerted to Josh's condition, she realized. They had come to the store to offer silent support, just to let her know they were praying. Tears streamed down her cheeks. God, God..
Joshua spent three days in the hospital while physicians checked every inch of him. They discovered that his liver had almost been cut in two, his lungs were bruised and two ribs cracked. It was almost unbelievable that he did not have more serious injuries, but these were troublesome enough. And yet Joshua seemed to have no pain. "I want to go home, Mom," he kept telling Susan. "I feel fine, honest." "He seemed completely normal," Susan says. "After the first night, he actually roamed the halls, looking for something to do." The liver mended without surgery. All in all, doctors felt he had been a lucky little boy. Susan knew it was far more than luck. From the moment she had asked for prayers, they had come. People met her at the hospital, dropped off notes at her house, wrote letters from faraway places, people from all faiths, all assuring her that they were praying for Josh's healing. And one evening Josh confirmed it. "God was with me," he told his mother. "He was under the wheel, right with me." God, and a host of angels, shielding him from injury. Susan gives thanks every day. Dear Lord, we thank You that when we call upon Your name You are there. We pray that our trust in You would continue to grow. In Jesus’ Name. Amen. 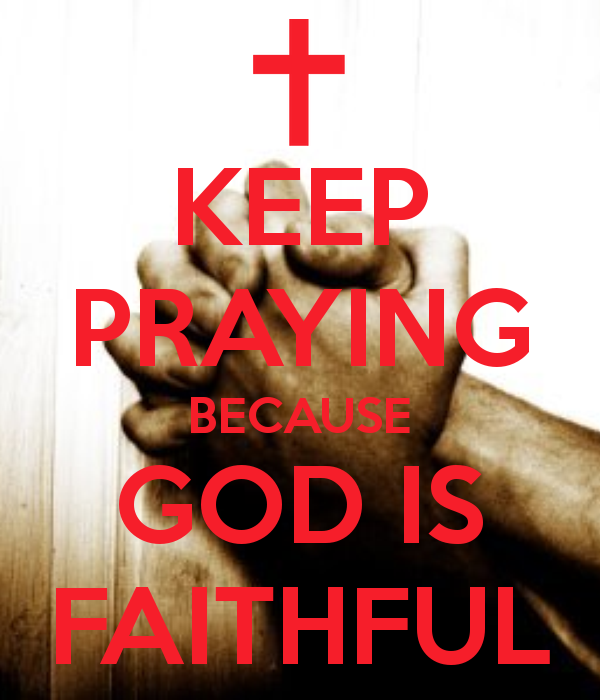 Are you faithful in your prayers? As the fire continued, the other men discussed among themselves what to do. But since the sniper fire was too intense, to crawl out and bring back their wounded buddy would mean almost certain death. Dear Lord, help us be faithful in our prayers. Help us to remember the importance of talking to You and bringing our friends to You. In Jesus’ Name, Amen. I thought today on my surgery day would be a great day for some Doctor/ health humor. I hope you get at least a chuckle out of these. Adam, an elderly man was seated in the doctor's waiting room. When he was called in to see the doctor, Adam slowly got up, and, grasping his cane and hunching over, slowly made his way into the examining room. Ronan stuttered, 'But I love tea. 'Then wait for half an hour before getting up,' replies Doctor Mayo conclusively. 4) Home - Or Away? 5) Father - Or Son? 'Is this her first child?' 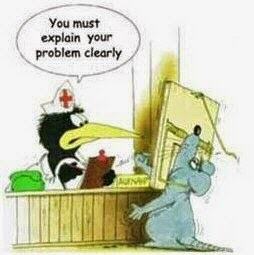 the doctor queries. Dear Lord, we thank You for the doctors and nurses and all those whom You have called to study and practice the skill of healing the sick and the prevention of disease and pain. We pray that You will continue to give them the wisdom and Strength to use the skills You have given to them. In Jesus’ Name. Amen. As I prepare for another surgery I was reminded of a story I read that really touched my heart. It is of a mother retelling her experience when her son had his tonsils removed. The doctor explained that he had two choices—he could either try to start the IV, or he could wait until Austin was up in the operating room. In the OR the doctor would give Austin some "goofy" gas, and start the IV when he was more relaxed. "So, Austin," he asked, "which do you want?" Austin replied, "I'll take the gas." But when the doctor started to leave, Austin called, "Hey, wait." The doctor explained that he'd just put the mask on Austin when my son signaled that he needed to say something. 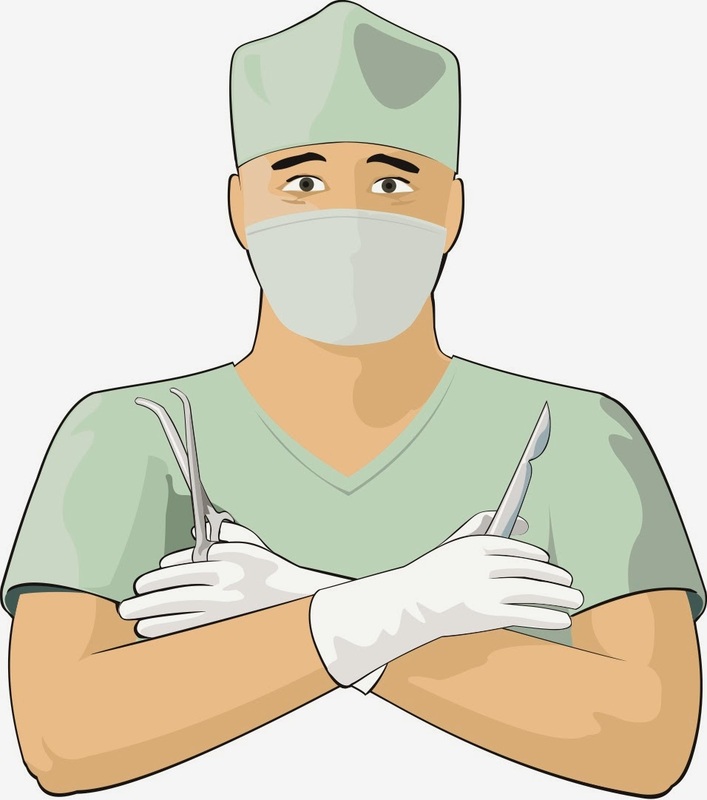 When the doctor removed the mask, Austin blurted, "Wait a minute, we have to pray!" The doctor told him to go ahead, and Austin prayed, "Dear Lord, please let all the doctors and nurses have a good day. And Jesus, please let the doctor with the frog hat get saved and start going to church. Amen." A few minutes later a nurse came to take me to post-op. She had a big smile on her face as we walked to the elevator. "Mrs. Blessitt, I couldn't wait to tell you something exciting that your son did." With a smile, I told her that the doctor already mentioned Austin's prayer. “But there's something you don't know," she said. "Some of the other nurses and I have been witnessing to and praying for that doctor for a long time. After your son's surgery, he tracked a few of us down to tell us about Austin's prayer. He said, 'Well girls, you got me. If that little boy could pray for me when he was about to have surgery, then I think maybe I need his Jesus too.'" She then recounted how they joined the doctor as he prayed to receive Christ right there in the hospital. We see that Austin had played a small part in something wonderful. But then, so did the nurses who prayed and witnessed. As I read the account of Austin as told by his mom it reminded me that, although we never know which role we may be called to play, in the end it doesn't matter. What's important is that we remain faithful in sharing the gospel. Dear Lord, we thank You that You use each of us in a small way to bring other to You. In Jesus’ Name, Amen. 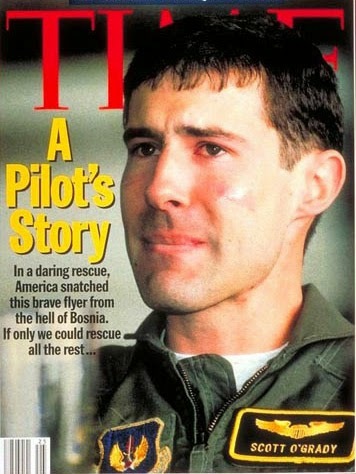 On June 2, 1995, Air Force Captain Scott O'Grady was flying an F-16 fighter over NATO's "no-fly zone" over western Bosnia. Suddenly a Serb surface-to-air missile ripped through his aircraft. Reaching for the eject handle he remembers praying: "Dear God, let it work," and it worked. Floating down some 26,000 feet, the Serbian soldiers were quickly moving to where he was going to land. Scott prayed again: "Lord, let me at least have someone know I'm alive and maybe come rescue me." Landing on a hill, Scott began his evasion. Bosnian Serb search parties tried to flush him out by firing rifles into the bushes where he was hiding. For the next five days Scott was constantly praying. He moved from place-to-place at night, sending out short messages letting others know he was alive. He subsisted on leaves, grass, and ants, and catching rainwater in Ziploc plastic bags. Though he was hungry and cold, he knew that a superpower would be working to save him. Then early on June 8, O'Grady's prayers were answered. He reached a safe place and radioed for help. Headquarters immediately dispatched about forty planes for his rescue. When the helicopter landed in the clearing near where O'Grady was hiding, he didn't relax in the brush. He shook off fatigue, fought through bushes and with every ounce of energy he had, ran to the escape that had been provided for him. We are often thrust into hostile situations in our own lives. But in each instance, the Lord is faithful to provide a way of escape, if we only look to Him and we take it. Dear Lord, thank You for Your faithfulness through each and every temptation that You provide a way out for us. Help us faithfully look to You in everything. In Jesus’ Name, Amen. "Pilot to bombardier, you have the plane." Jeff spoke with confidence. He had been deep in prayer before this mission, that the Lord would help him find a way to witness to his crew. Many times before taking off on a mission he would pray for their safe passage and back. 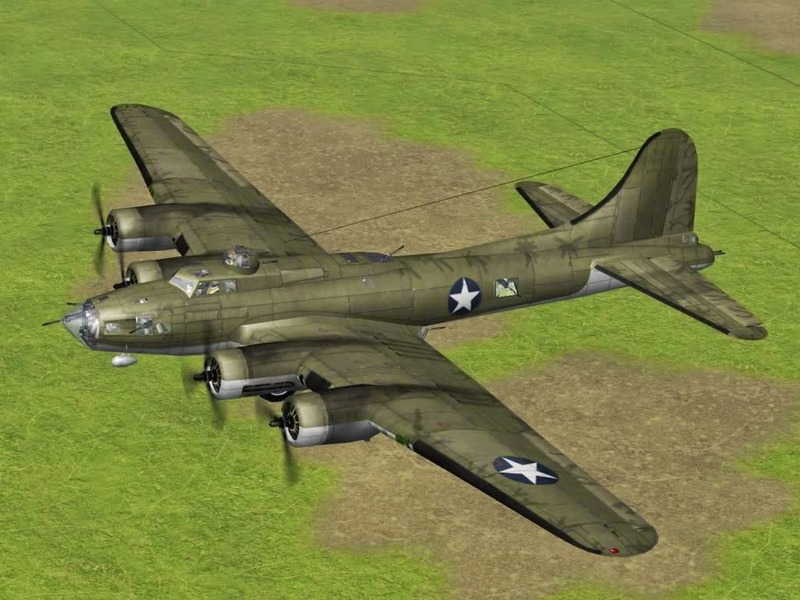 Of the ten men aboard his B-17F Flying Fortress, six were saved. Perhaps that was one of the reasons for so many successful missions without even one loss of life. "Were over the target Captain….bombs away." Came the static ridden voice of Lt. Don Martin. Captain Jeff Lloyd, or Captain Preach as he was affectionately called, was a man of conviction. He prayed to the Lord before, during and after every mission. Back at home in Tampa Florida, he had two kids and a wonderful wife that he was praying to return to one day soon. They seemed so far away from this bombing run here in Germany. The co-pilot Charles Wilson was also a devoted man of God that often prayed with Jeff right there in the cockpit. It was seldom these days anyone made fun of you praying since no one wanted to take a chance of making the Big Man upstairs mad. Not when you were flying a glorified paper plane with four 1200-horse power Cyclone engines on board. Sergeant Paul Wilson, the top turret gunner, jokes a lot about not dropping a sharp pencil on the floor. The government would get pretty sore at us jabbing holes in their quarter of a million dollar toy. Don yelled with excitement to Jeff "Captain, bandits at one o'clock high". The tail gunner continued the sentence in a shaky voice " Captain bandits at six o'clock low. My God there are too many sir." Suddenly the fortress of fifty and thirty calibre guns came to life. Jeff spoke into the radio " Men I know that all of you do not trust in the Lord, but I am going to pray for us right now." The radio was silent for a moment then the words were heard. ""Captain pray in a hurry. Help us Jesus….bandits at three o'clock " yelled the waist gunner Sergeant John Carr. Throughout the aircraft the bullets could be heard leaving the guns as also the enemies bullets could be heard passing through the thin skin-tight structure. Three of the bomber group had already become balls of flaming streaks, bellowing through the bright blue skies. Wave after wave of Mitsubishi fighters seemed to keep coming with little relief. By this time the fighters were taking their toll on the massive fortress of firepower. The starboard engine was beginning to smoke as Captain Lloyd pulled the fire extinguisher switch on number one engine and feathered the prop. The crew knew the loss of even one engine would slow them down and they would lose the safety of numbers, if there were such a thing. The plane began again to shake and started a slight roll to the left. "Captain we have lost some aileron and elevator authority." Shouted Charles from the co-pilot seat. The waist gunner called up and said there were big chunks of the aileron and elevator missing. Jeff began to whisper under his breath as he and Charles struggled to maintain control of the war ship. The second starboard engine now broke out in flames and still another fire extinguisher was engaged. Using the rudders to compensate the battle of keeping the plane in the air seemed almost an impossible feat as finally the fighters broke away. Captain Lloyd spoke hesitantly into the radio microphone "fellows it will take a miracle of God to get us back home. We lost quite a bit of fuel when we took the hits to our starboard wing. I would say we need to all pray for God's protection until we get back to English waters." With the aircraft shaking and moaning, Charles began to lead the crew in the Lord's prayer. "Our Father who art in Heaven, hollowed be thy name….."
Suddenly the Top Turret gunner broke through "Captain bandits at twelve o'clock high". This brought sweat to the brow of all the men on board. Of all the armament on board, the front of the aircraft was the most vulnerable. As Charles and Jeff gripped the steering yoke they prepared for the worst and continued to pray. Sergeant Mark Parks, the radio operator began to sing "Amazing Grace how sweet the sound, that saved a wretch like me." As suddenly as the Mitsubishi's appeared they seem to be terrified and break off their attack. Jeff and Charles thanked the Lord for his protection as they continued toward the English coast. As they lowered their landing gear and touched down, there was not a man on board not thanking God for his hand in their deliverance back home in one piece. On the mission briefing Major Butler, walked up to Captain Lloyd and with a puzzled look ask "Captain we intercepted a transmission from enemy fighters. We have been checking codebooks but we are puzzled. This pilot said they were approaching an enemy B-17 to make the kill when they saw angels on the wings with fiery swords drawn. They immediately withdrew. Do you know what they were talking about?" "Yes sir Major" Jeff said with a grin, "Those were just the angels God sent to protect us Major" and with a salute the young Captain walked over to where his men were sitting and sat down. The Major was still standing there scratching his head. God’s angels are there to watch over you. Are you calling upon His name to protect and guide you? Dear Lord, we thank You for the protection You give to each of us. We pray that we will never fail top trust You and call upon You in the good and bad times. In Jesus’ Name, Amen. The prayer of a righteous person. It's Friday! But Sunday is coming.